Sports technical product. The integrated technology for body and sport performance. 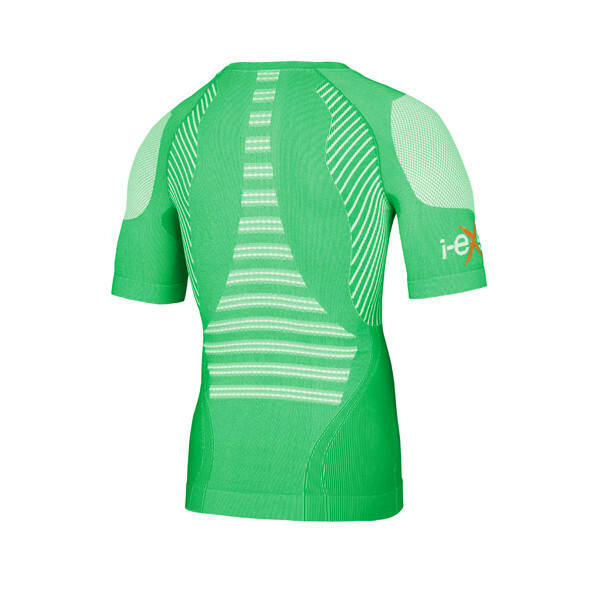 No seam along body zone and the highest level of comfort guaranteed; shoulders, upper arm, chest part are protected by the special system i-Taping™; the back and the abdominals zone are characterized by thermoregulation tecnologies, special structure i-3Dsystem™ and by i-Compression™; the underarm is structured to ensure ventilation and sweat dissipation. The entire product is provided of i-Silver™ technology and it uses F.I.R. 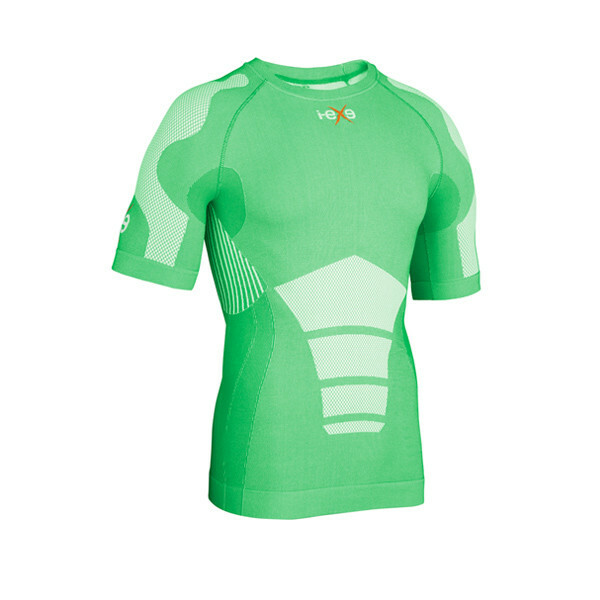 (Far Infrared Ray) system to maintain an athlete high performance. Built with special i-eXe® technologies: i-Ray™, i-Taping™, i-3Dsystem™, i-Compression™, i-Silver™. Main features: born from the great success of the HIGH PERFORMANCE line, the COLOR LINE contains all the spectacular features of the older sister, with the advantage given by the reduced weight (- 25%) and the completely revised 3D structure. The COLOR LINE is able to combine the benefits of i-eXe® products with the freshness of the chosen colors. Product designed and ideal for every type of activity in every period of the year. Inside we find all the features that made i-eXe® products inimitable.